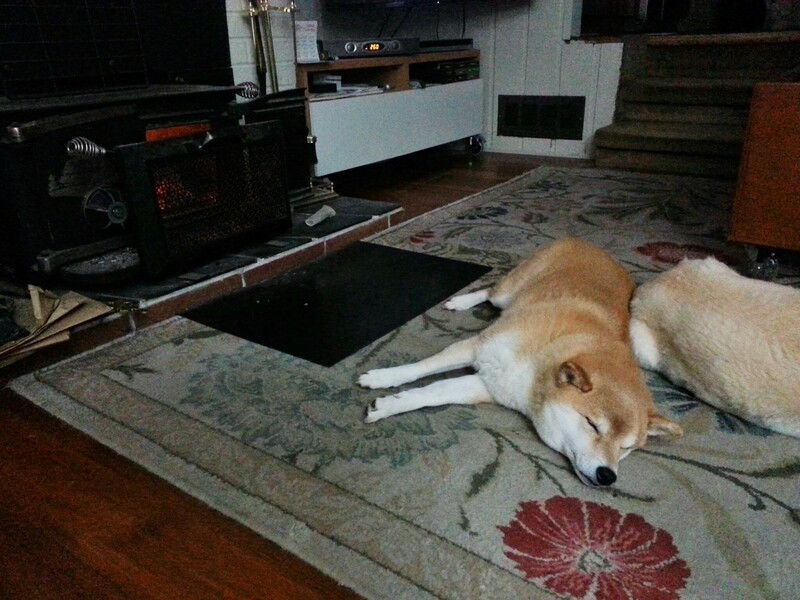 Who are clearly too busy soaking up the warmth from a well-stoked fireplace to come and greet you! 02 Jan	This entry was published on January 2, 2014 at 12:00 pm and is filed under general shiba-ery. Bookmark the permalink. Follow any comments here with the RSS feed for this post. Older: Wow many hotel fun! Newer: Just a couple of shibas at the beach!